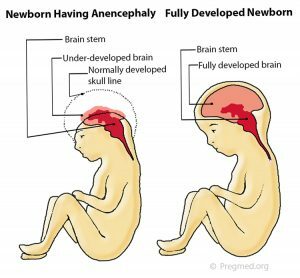 Anencephaly is a condition in which major portions of the brain, skull, and scalp are absent. It is the most severe and single most common prenatally detected spinal cord (neural tube) defect (Goldstein and Filly, 1988). Although the upper portions of the brain (the cerebral hemispheres) can develop in this condition, any exposed brain tissue is eventually destroyed. As a result, the brain will appear as a bloody (hemorrhagic) mass of tissue fibers. The cerebral cortex, the portion of the brain responsible for “higher order” functions in humans (such as movement, thought, speech, etc), will not be present, let alone functional. The brainstem and cerebellum may be spared. The brainstem controls many of the functions that happen automatically such as maintenance of heart rate, breathing, body temperature control, etc. The cerebellum is primarily responsible for balance and our innate sense of the space that our body occupies. Despite the severe brain abnormalities, the facial bones and base of the skull are nearly normally formed. The front portion of the skull (frontal bone), however, is always absent and the brain tissue is always abnormal. Less commonly, there is a mild form in which a small portion of skull is missing (meroacrania). The most severe form is when the brain is completely absent (holoacrania). Anencephaly accounts for approximately one-half of all cases of spinal cord (neural tube) defects (Chescheir et al., 2003). The incidence of anencephaly in livebirths and stillbirths has been estimated as 0.3 per 1000 by the Centers for Disease Control (Medical Task Force on Anencephaly, 1990). Female fetuses are 3-4 times more commonly affected than males (Naidich et al., 1992). There is also an increased incidence of anencephaly in Hispanic women (Feuchtbaum et al., 1999). Some of the other risk factors include maternal diabetes prior to conception and maternal obesity (Mitchell, 2005). The most important environmental influence is diet. There is a well-documented protective effect of maternal folic acid supplementation starting at least 1 month prior to conception. In first trimester fetuses with anencephaly, the upper portion of the brain (the cerebral hemispheres) will be in direct contact with the amniotic fluid because the skull is absent. By ultrasound, the appearance will resemble “Mickey Mouse ears.” Additionally, a measurement from the top of head to the rump (crown rump length or CRL) is significantly reduced in affected fetuses in the first trimester. In the second trimester, the upper brain portions, above the level of the eyes, will not be visible by ultrasound because they are no longer present. The ultrasound diagnosis of this condition is very accurate, particularly if the sonographer is able to directly view the fetal face. If the condition is isolated, meaning not part of a greater syndrome along with other abnormalities, these fetuses will grow at approximately the same rate as fetuses without the condition. Often, the amount of amniotic fluid surrounding the fetus is significantly increased (polyhydramnios). Some fetuses with anencephaly will have other major abnormalities. The major consideration as far as other potential diagnoses is to distinguish anencephaly from the presence of tissue fibers extending from the gestational sac (amniotic bands) that effectively amputate portions of the fetus. It is important to note that the skull defect associated with anencephaly always affects both sides (symmetric). With amniotic bands, there should be evidence of other defects, such as limb (arms/legs) or digital (fingers/toes) amputations, abdominal wall defects, or spinal defects. Amniotic bands are often associated with there being little or no amniotic fluid around the fetus (oligohydramnios). In contrast, anencephaly is often associated with excess fluid (polyhydramnios). Of those fetuses with anencephaly, a small portion will die while still in the uterus (intrauterine fetal demise or stillbirth). Approximately 25% will have excessive amniotic fluid around the fetus (polyhydramnios). Polyhydramnios may cause extra stretching of the uterus resulting in preterm contractions. Sometimes, these patients require cesarean section because the fetus is breech. These infants will die in the immediate newborn period. If prenatal screening is performed to detect spinal cord (neural tube) defects, the maternal serum alpha-fetoprotein level (MSAFP) will be significantly elevated in 90% of fetuses with anencephaly (Medical Task Force on Anencephaly, 1990). A detailed ultrasound examination is indicated for all patients with significantly elevated MSAFP levels. If there are no other abnormalities and the anencephaly is considered isolated, then a test to determine if there is a chromosomal abnormality may be recommended (amniocentesis). The chromosomes represent the instructions for how a fetus should form. It is quite likely that the chromosomes will be normal. Most fetuses with anencephaly deliver around 37 weeks of gestation (Melnick and Myrianthopoulos,1987). Because pregnancy with a fetus with anencephaly carries an increased medical risk for the mother, prospective parents may be offered the opportunity to terminate, especially if the diagnosis is made prior to 24 weeks of gestation. Cesarean delivery is indicated only for maternal health considerations or, perhaps, if the fetus is breech. There is no fetal intervention recommended for anencephaly. The diagnosis of anencephaly can be confirmed on physical examination when the following criteria are met: a large portion of the skull is absent, the scalp is absent over the skull defect, and a hemorrhagic, fibrotic mass of tissue is exposed to the environment. The newborn will seem unconscious because the upper brain portions (cerebral hemispheres) are absent or not functioning. The parts that control the breathing, heartbeat and body temperature will be functional. The newborn has reflex responses to pain. Most newborns will die within the first few hours or days of life, though about 10% may live up to one week. Surgical treatment is not applicable in anencephaly. The major issue in long-term outcome is the potential use of anencephalic fetuses or infants as organ donors. Difficulties exist, however, because of the traditional means of determining brain death for organ donors. 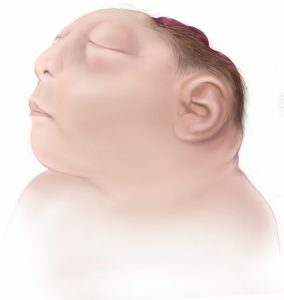 For babies with anencephaly, the diagnosis of brain death depends on documentation of disappearance of previously existing brainstem functions (i.e., breathing or spontaneous movements), Most major organs from anencephalic infants are smaller than average for body size and have often not formed appropriately. Therefore, these organs might not be able to be donated. A family history of spina bifida and/or anencephaly is one of the strongest risk factors for recurrence. Most cases of anencephaly have a recurrence risk of between 2% and 5% following a single case (Medical Task Force on Anencephaly, 1990). Some cases of anencephaly are associated with chromosomal abnormalities such as trisomies 13 and 18, and triploidy. For women who have previously had a fetus or infant affected with anencephaly, the Centers for Disease Control and Prevention (CDC) recommends increasing the intake of folic acid to 4000 mcg (4mg) per day beginning at least 1 month prior to conception (Committee on Genetics,1999). The Fetal Health Foundation was founded by parents seeking hope for a fetal diagnosis. 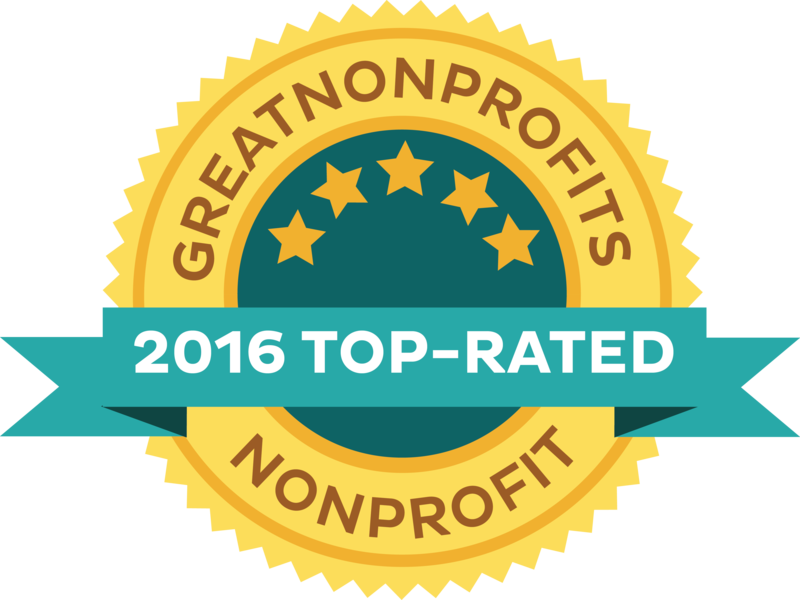 We try to provide accurate medical information, support, and hope. In the case of a diagnosis like this, we also want to offer resources that can help parents make the most of their time with their child. Read the story of our board member, Aran, meeting her daughter, Brianna Marie. Read about memorial photography work of Now I Lay Me Down To Sleep. We are grateful for these volunteers. Wondering how you can help someone during a difficult pregnancy? We share our thoughts. Chescheir N. ACOG Committee on Practice Bulletins-Obstetrics. ACOG practice bulletin. Neutral tube defects. Number 44, July 2003. Int J Gynaecol Obstet. 2003;83:123-133. Committee on Genetics, American Academy of Pediatrics. Folic acid for the prevention of neural tube defects. Pediatrics. 1999;104:325-327. Feuchtbaum LB, Currier RJ, Riggle S, Roberson M, Lorey FW, Cunningham GC. Neural tube defect prevalence (1990–1994): eliciting patterns by type of defect and maternal race/ethnicity. Genet Test. 1999;3:265-272. Goldstein RB, Filly RA. Prenatal diagnosis of anencephaly: spectrum of sonographic appearances and distinction from the amniotic band syndrome. AJR Am J Roentgenol. 1988;151:547-550. Medical Task Force on Anencephaly. The infant with anencephaly. N Engl J Med. 1990;332:669-674. Melnick M, Myrianthopoulos NC. Studies in neural tube defects. II. Pathologic findings in a prospectively collected series of anencephalics. Am J Med Genet. 1987;26:797-810. Mitchell LE. Epidemiology of neural tube defects. Am J Med Genet C Semin Med Genet. 2005;135C:88-94. Naidich TP, Altman NR, Braffman BH, McLone DG, Zimmerman RA. Cephaloceles and related malformations. AJNR Am J Neuroradiol. 1992;13:655-690.